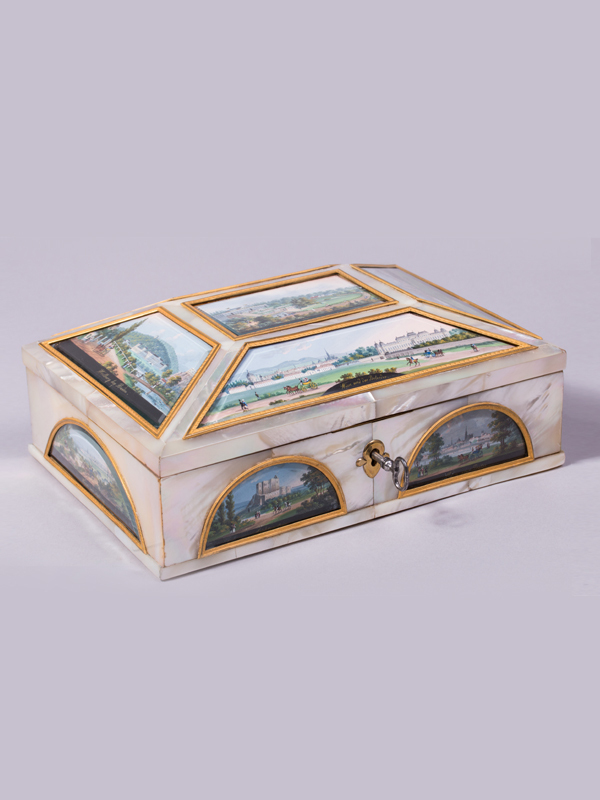 In the 19th century Vienna was known for the variety of arts and crafts, objects of adornment as well as utility objects. 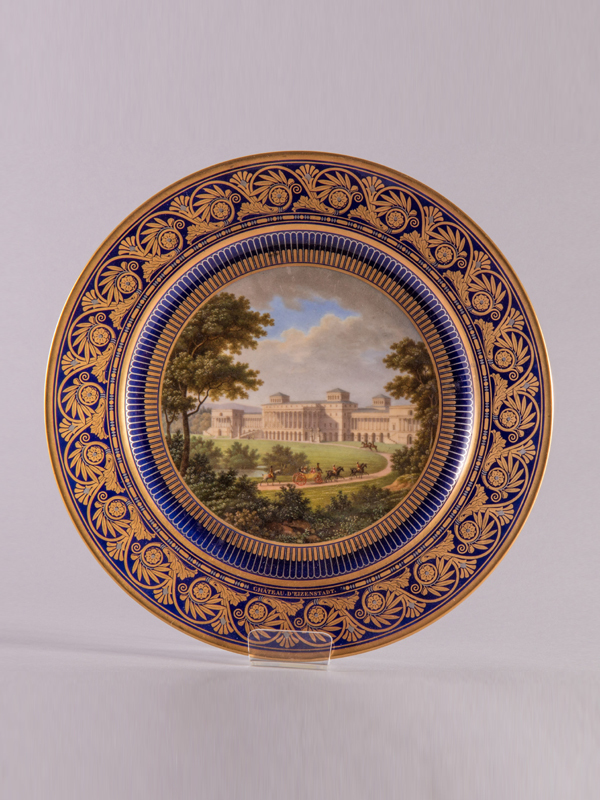 Similar as in Paris and London, silver cutlery and numerous items of tableware were produced in large numbers. Firstly, the Imperial and Royal Warrant of Appointment Carl Josef Klinkosch needs to be mentioned, who opened his shop on Kohlmarkt in Vienna’s 1st district; the production was located in Leopoldstadt, the 2nd district. 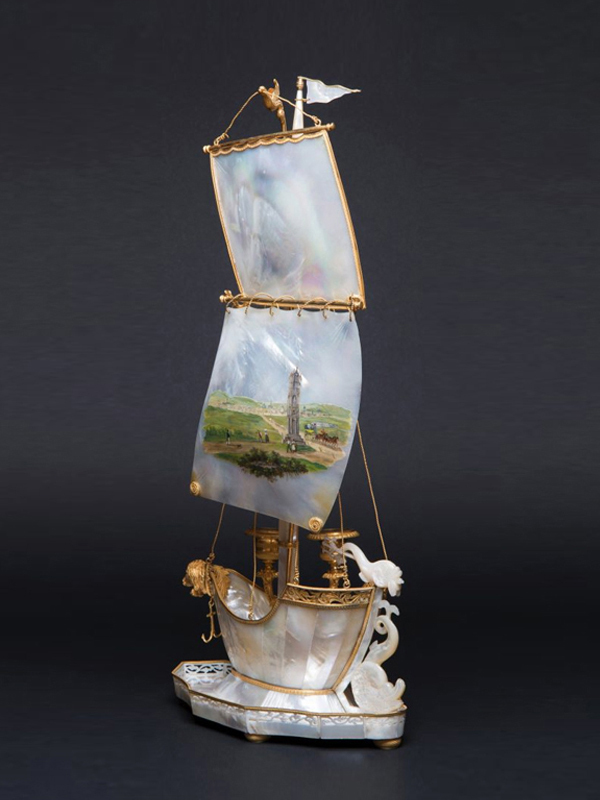 In the first half of the 19th century, native as well as exotic shells were processed into popular mother-of-pearl works. 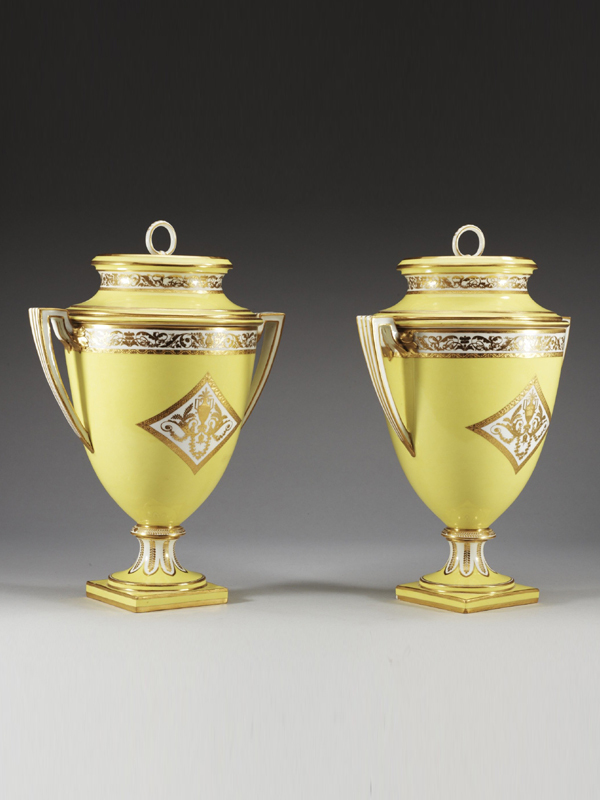 In addition, alabaster, porcelain, various precious woods, gilded brass, granite, steel and stones were transformed into numerous ornamental and everyday objects. 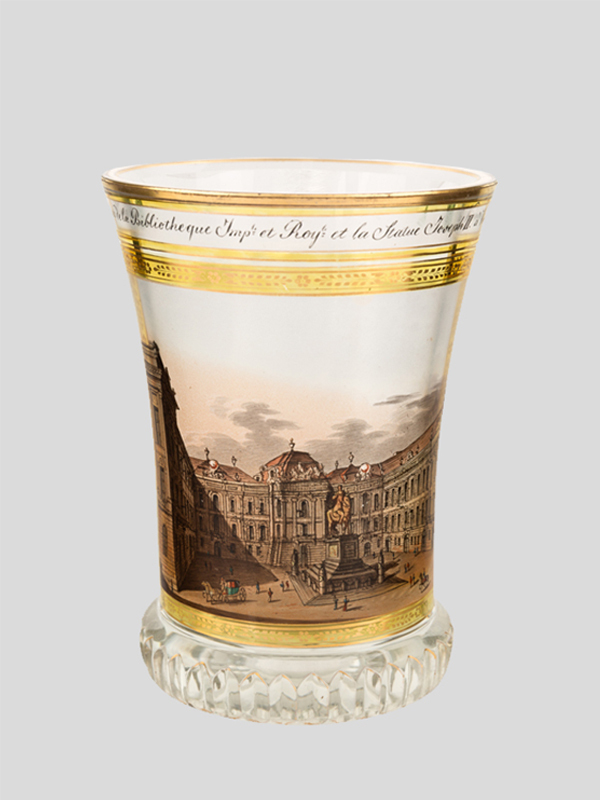 There are light screens with views of the cityscape, little sewing cassettes, paperweights in various shapes and sizes, vedute by Balthasar Wigand but also other artists, candelabras, bracket and carriage clocks, miniature depictions of well known Viennese buildings, made by Viennese craftsman and sold by Nuremberg merchants. 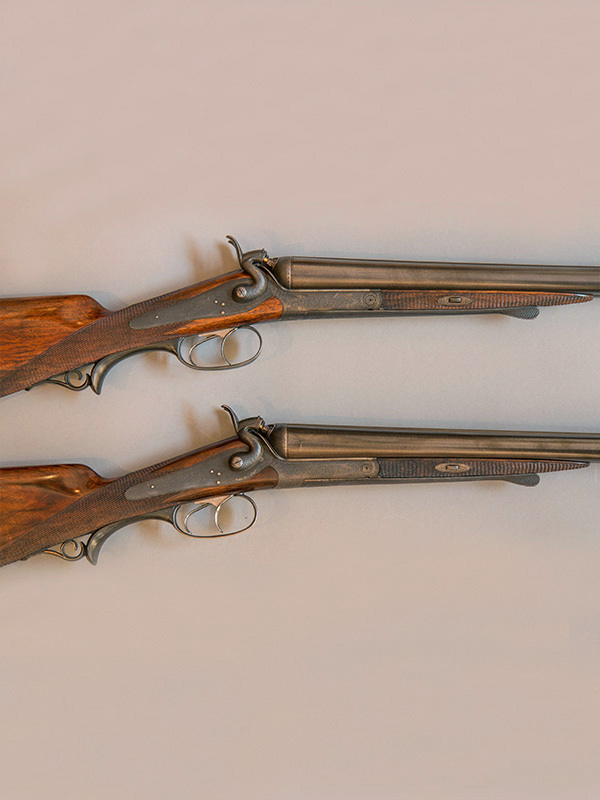 The Wien Museum’s inventory concludes some examples of these luxurious objects of the time. 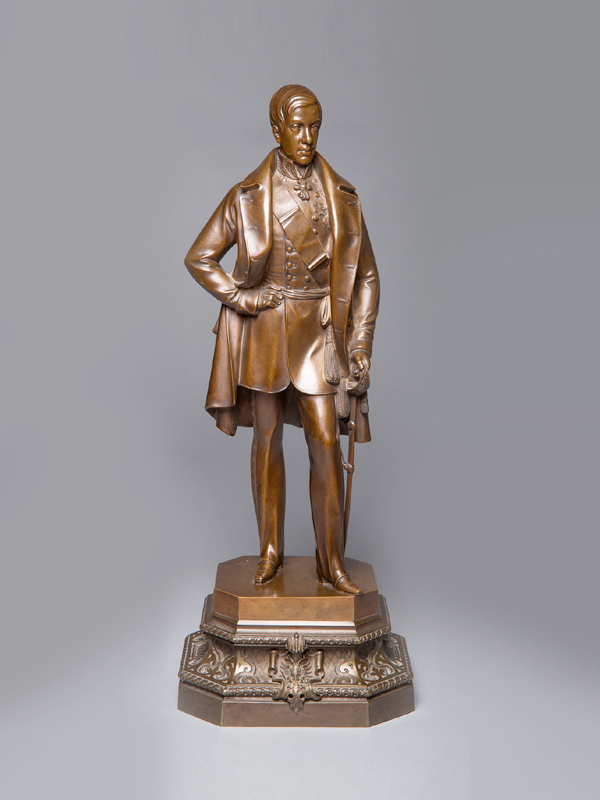 In addition, Kunsthandel Stephan Andréewitch offers artifacts of fire-gilt bronze of classicism and the Empire.